Lockheed Martin's CEO gave President-elect Donald Trump her "personal commitment" to cut the cost of the stealthy F-35 fighter jet. Marillyn Hewson said she had a "very good conversation" with Trump Friday, the day after he tweeted that he was considering replacing the costly F-35 Joint Strike Fighter with a modified version of a cheaper jet. "I've heard his message loud and clear about reducing the cost of the F-35," Hewson said in a statement. "I gave him my personal commitment to drive the cost down aggressively." She added, "We're ready to deliver." Earlier in the week, Trump extracted a promise from Boeing's Dennis Muilenburg to lower the cost of building new Air Force One jets after Trump said estimated costs were "out of control." 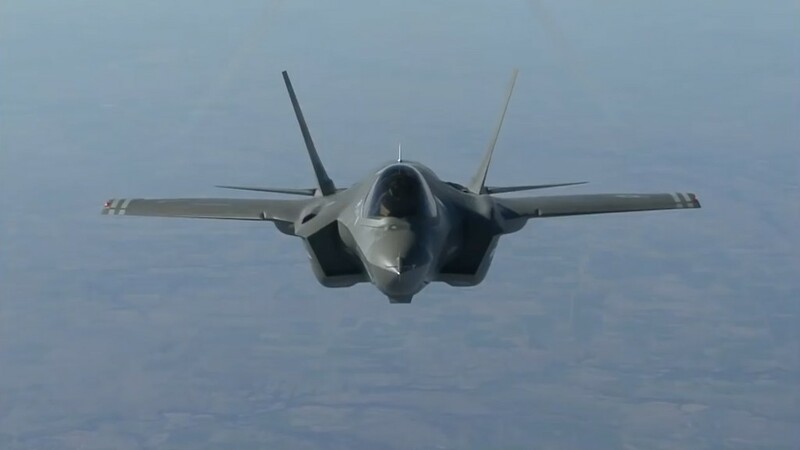 Trump has pitted aerospace giants Lockheed Martin and Boeing against each other by suggesting Thursday the F-35 could be replaced with Boeing's F-18 Super Hornet. "Based on the tremendous cost and cost overruns of the Lockheed Martin F-35 I have asked Boeing to price-out a comparable F-18 Super Hornet!" Trump tweeted. His message followed a Wednesday meeting with Hewson and Muilenburg to discuss their respective government deals. Hewson said at the time that the conversation was "productive," and that she had "conveyed our continued commitment to delivering an affordable aircraft to our U.S. military and our allies." The president-elect, however, told members of the press that he was concerned over the F-35's price tag. "It's a little bit of a dance. But we're going to get the cost down," he said, calling the F-35 program "very, very—uhhh—expensive." The F-35 is the Pentagon's largest single program, and is likely to cost the government around $400 billion over the next 22 years.